The hunt is on for the mysterious keys left by the alien Builders. 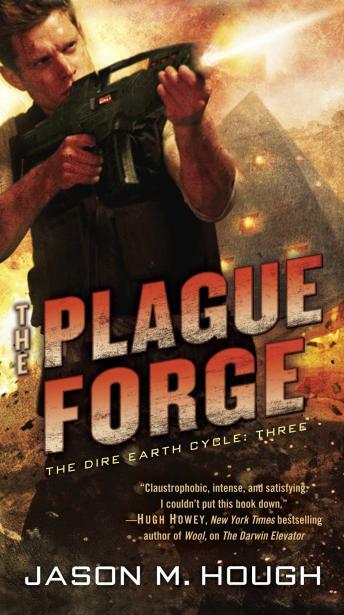 While Skyler’s team of immune scavengers scatters around the disease-ravaged globe in search of the artifacts, Skyler himself finds much more than he expected in the African desert, where he stumbles upon surprising Builder relics—and thousands of bloodthirsty subhumans. From the slums and fortresses of Darwin to the jungles of Brazil and beyond, Skyler and company are in for a wild ride, jam-packed with daunting challenges, run-and-gun adventure, and unexpected betrayals—all in a race against time to finally answer the great questions that have plagued humanity for decades: Who are the Builders, and what do they want with Earth?